"I thought of Urania, the muse of the heavens, the muse of the stars and celestial movements, and of her avatar as she comes to Earth. But she comes to Earth in a most unlikely form; of a disaffected young American woman in the southern region of America on the Arkansas river in Little Rock." A warm mid-September Saturday afternoon and London's West End is teeming with antsy shoppers, but the rear bar deep inside the Bloomsbury Hotel is like another world, harking back to a more elegant time. Sultry 50s Coltrane complements the low lighting and flickering candles but, although every table is set for dinner, the bar is empty - apart from the secluded corner alcove where Tav Falco is sitting with partner Gina Lee, sipping a manhattan cocktail. The proprietor of the Panther Burns name and legend is in London for this evening's premiere of his first feature-length movie Urania Descending, just round the corner at the venerable arts mecca The Horse Hospital. This remarkable labour of love was over three years in the making, coming after his acclaimed 2011 book Ghosts Behind The Sun: Splendor, Enigma & Death: Mondo Memphis Vol 1 and before a sizzling new Panther Burns album called Command Performance, to be released in February as part of a new deal with the Twenty Stone Blatt label, which will also see the reissue of his gem-studded back catalogue. If that wasn't enough, Falco has also compiled a soon-to-be-released book of his photographs and a CD - Tav Falco's Wild & Exotic World Of Musical Obscurities for German label Stag-O-Lee, which presents an evocative selection of the primal rockabilly, dramatic pop, arcane blues and flickering jazz which has played a major role at some point in his remarkable life. With his trademark quiff, immaculate suit and two-tone leather shoes, Falco is an engaging, softly spoken southern gentleman with an underlying intensity born out of a desire to explore the artistic fields that stimulate his ever-questing muse. While all of his relentless activities receive a rare degree of care and attention, today he is focussed on his self-described "black and white filmic poem infused with metaphor and mood". Later we'll leave the Bloomsbury Hotel and walk the few blocks to The Horse Hospital, where the evening will start with Falco and Gina Lee dancing the tango to three musical pieces before the screening; the dancing is another long-standing passion. Sitting through Urania Descending for the first time conjures a gamut of emotions, starting with sadness and sympathy at Gina Lee's plight in the redneck-infested shopping malls of Little Rock, Arkansas (close to Falco's birthplace). She spontaneously buys a one-way ticket to Vienna after spotting its romantic image on a poster. Most of the film's intrigue takes place in the city which Falco has called home for several years, as Gina frequents Cafe Central and the Hotel Orient, and becomes fatally ensnared by Karl-Heinz Von Riegl and his plot to recover the Nazi plunder buried deep in Lake Atter. The film's surreal atmosphere is enhanced by its jumping energy, flashpot glitches and decaying, timeless ambience. Hailing from the deep south, coming of age in Memphis and now living in Vienna, Falco works from a unique perspective; this becomes even more apparent as he elaborates on this latest labour of love. He describes how the idea for Urania Descending came from watching expressionist films at the Cinemathèques in Vienna and Paris. The latter added the short films he started making in 1971 with 71 Salvage into their permanent collection in 2003. Others include Shadetree Mechanic (1986), Memphis Beat (1989), Helene Of Memphis (1991), Born Too Late (1993) and Love's Last Warning (1996). "I'd made a number of short films, but at this point felt like I could do a big feature movie," he explains. "I had already sat down for six weeks in August three years ago and written a real screenplay for this film, but I didn't plan to sit down and write a screenplay then the next month make the movie. The inspiration came from a variety of sources and influences that just came together before the screenplay started coming out." Ultra-prolific French silent filmmaker Louis Feuillade is a major influence on the film. Although he made over 600 films between 1906-1924, Feuillade is best remembered for the 1915-16 series Les Vampires with Musidora who, according to Tav, was "the celebrated French actress who dressed in a black body-sock, wore a mask and stole the diamonds off the necks of the most elegant mademoiselles." Feuillade casts an even bigger shadow over Falco's film with his five-part Fantômas series, released between 1913-14, including such episodes as The Man In Black, Haunted Villa and Burgling Judge. Falco also cites "the expressionist influence of Fritz Lang, who grew up around the corner from where I live now, and Erik Von Stroheim, who grew up in the next quartier. Joseph Von Sternberg was also in the area of Vienna where I now live. These directors and filmmakers were immigrés who had gone to America when the Third Reich took over in Vienna. It's funny how these tyrants and madmen can sway the popular public opinion to go in their direction, but this happened in Vienna; similar to Great Britain and America later." Falco showed his screenplay to Paris-based Lamplighter Films, having appeared in their documentary on celebrated Memphis photographer William J Eggleston, a friend of Falco's "who taught me photography, pictures and how to use a moving picture camera". They felt the screenplay was so dense it could happily accommodate three feature films, but offered funding after Tav insisted he could turn it all into one body of work. He knew where he wanted to film. "I thought, it's going to be an intrigue, and it's going to take place in America and Vienna. It can't be just an ordinary intrigue, it has to have a poetic aspect. I thought, look at the muses and look at the muse Urania, the muse of the heavens, the muse of the stars and celestial movements, and of her avatar as she comes to Earth. She has not been exploited and mined so deeply in the literature of the world. 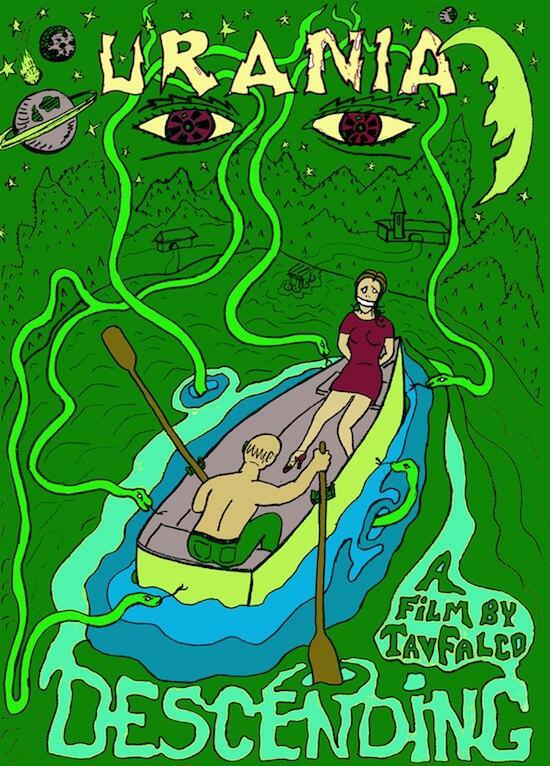 Urania comes to Earth in the most unlikely form of a disaffected young American woman in the southern region of America on the Arkansas river in Little Rock. "This young woman becomes somehow alienated and disaffected by the treatment she's receiving, fed up with this kind of barbaric machismo from these redneck individuals. She's trying to get this redneck who's just accosted her out of her mind, so impulsively puts on her white go-go boots and drives her BMW convertible down to the shopping mall. She walks into a travel agency and sees a travel poster on the wall and sees Vienna. There are two white horses pulling an elegant Fiacre carriage by the blue Danube and she says to the agent, 'I want a one-way ticket to Vienna on the next flight.' She gives the agent her credit card and next we see her flying off into the grey horizon towards Vienna." After Gina Lee arrives in Vienna, the city becomes a major star of the movie. He was particularly happy to film around the Attersee in Austria's Lake District in the foothills of the Alps, where the movie reaches its dramatic climax. "I'd heard of this lake where the artists of Vienna would go every year to walk on the country lanes around its clear blue waters. We filmed the ending at the villa where Gustav Klimt went every summer with his companion Emily [in the late 19th century] and made many of his famous pastoral paintings. Her father was the monarchy's court carpenter and he built this villa in the special style of Attersee lake architecture." The Attersee provides the backdrop to one of the film's major plot strands. As Falco puts it, "It's an intrigue predicated on Nazi treasure being carried by an aircraft on Hitler's last mail dispatch from Berlin to Munich, containing gold and platinum ingots in a cargo of worthless mail which was shot down by American forces over Lake Atter. That treasure is a metaphor which symbolises all of the treasure horded in all of the treasuries of Great Britain and Fort Knox in America. "The treasure was shot down then sought by Karl-Heinz Von Riegl, the grandson of the SS officer in charge of the radio dispatches of these aircraft. He is one of the film's central characters, obsessed all his life by this treasure buried in the bottom of the Attersee. His grandfather bequeathed a map to him, and he knows the treasure's still there, beneath the dark, treacherous waters, buried under trees which have fallen into the lake over the decades. Many divers lost their lives going down searching for that treasure. Von Riegl hired his own divers to go down and search for it, but they could never find it. He was obsessed by it; just like Wall Street and Washington are obsessed with greed and money and power. "They're after those maritime rights off the coast of Gaza. They're after the oil and gas reserves underneath the water that Palestine owns and that they have licensed to British companies now. The film's a metaphor for all of this. It's nothing profound. It's the same prosaic story over and over again, told over the generations. We think we're civilised today but we have not progressed beyond the era of Genghis Khan. There's no real advance. Do you think we have progressed one iota since the golden age of drama and philosophy and literature in ancient Greece? We have technology, we have new ways of printing and transmitting our thoughts through telecommunications and electronics, but we haven't advanced as human beings, or in civilisation, and all our political structures have failed us. "This is not a cynical view. It's an objective view and I'm not an objective person really, but even I can see that. This is what our film has to deal with, because art represents something that has to be true and exists in everyday life. Even the muses, even mythology is all reflected from the human condition and human experience. It's of the imagination yet it has to have the truth of everyday life or no one is really interested in it. People think mythology doesn't really exist, that it's only a story, but it's the truth. It's based on truth lived out over the generations. Myth is more real. Myth is the reality, the inner reality. "The story itself is not particularly profound. The poetic gradient comes with the parallel to Urania, but the story itself is like the phantom of Fantômas. Why did the silent movie cinema series of Louis Feuillard capture the imaginations of surrealist poets, painters and artists? These were simple stories of a master thief, a mastermind, a genius. His story was not that of an intellectual, like Pizarro who wrote profusely about phantoms or Louis Aragon the poet, yet they were fascinated by this cinematic character. It's my theory that he presaged the criminal masterminds that came later, like Adolf Hitler. Fritz Lang presaged a criminal mastermind in his Dr Mabuse series of films before anyone knew the name of Hitler. The surrealists understood something was coming. "In America we had the equivalent which came much later, because America's a little behind. We had the George Bushes, that whole dynasty, these monstrosities of nature, these criminal masterminds who built up a reich called the HIGs - Hoodlums In Government. Now we have Barack Obama, the president that we most believed in, who was going to redeem the United States. We all voted for him, we all believed in him but then he became a black anathema, more hideous than the Bushes. I don't see how he and Michelle can sleep at night with the drone warfare, with the women and children being destroyed in the Middle East by the American military industrial complexes. This, in a sense, is part of Urania Descending because we have a simple intrigue predicated on those very things that are the objects of lust and greed and power from the Third Reich to the present regimes in Great Britain and the United States, with all the lust for power and money built on the industrial Moloch that rules these people's minds and governments. "My film is an expressionist film; that which comes from the interior, like voodoo music. If you listen to the music of voodoo the lyrics are silly, they don't mean anything, but it's a way to get to the dark waters of the unconscious. That's what my film is about. It brings something out. You leave it with a little residual feeling inside. The story is diverting, but it's the images, it's the shrieks, it's the ecstasies, the little moments, the little epiphanies that are important. I want to entertain people a little bit but there's an undercurrent and that's what matters. That's what means something, whether people realise it or not. It's not profound, it's an undercurrent. That's the music of the Panther Burns too; it's an undercurrent." The physical process of gathering materials and getting the film developed to modern standards became a saga in itself. It's shot in black and white because, Falco says, "Pure cinema can't be colour, it has to be black and white." He bought some old motion-picture film "at a good price" from a laboratory in Prague, who also ended up processing the film after he befriended them. When the film was finished, the next step was to get a digital transfer so it could be released. After the Austrian Film Commission rejected the movie and refused to pay for the transfer, Falco went to the Upper Austrian Film Commission in Linz. Happily, "they gave us the money to make the transfer. I didn't go to a lab. I bought the equipment in Germany and had it shipped to Vienna and made the transfer with my own hands with a special projector and special software and equipment. "The image is distressed. It looks like it's been around for 80 years, but I didn't plan that, it's just the way it worked out. I couldn't clean the film the whole time. I had to put my hands on it, so it got dirty but, like my band the Panther Burns, we play dirty music sometimes. The film image quality may not be the cleanest but the imagery of the muse Urania redeems it." Falco's long-running love of tango is also strongly evident in the movie, after being part of his live show for years and also evident on the latest compilation. He first became exposed to tango music and dancing on his first tours with Panther Burns in Europe, and started dancing himself in the 90s. In 2000 he spent four months studying tango in Buenos Aires. "It was a very fertile time," he says now. "I danced every day; as soon as I got off the plane I was dancing. I saw a lot of music and a lot of musicians. I began to discover the thematic and melodic parallels between Argentine tango and blues and early jazz in New Orleans. I'm especially talking about the thematic parallels in the blues - unrequited love, betrayal, brother against brother. Tango, however, is a music of the port of Buenos Aires. Just like the port of New Orleans, where black people were brought to work on plantations in Mississippi and Louisiana, they were brought to Buenos Aires to work in Argentina. "American hot jazz and blues in New Orleans is a product of African culture bought into America, the same as it was to Buenos Aires. In New Orleans it was black and white musicians picking up the instruments of European music, including the guitar, the tuba, the contrabass and flute. In Mississippi, Louisiana and Arkansas, black music was drums and guitars, once in a while a flute. It was mainly jigs and blues." 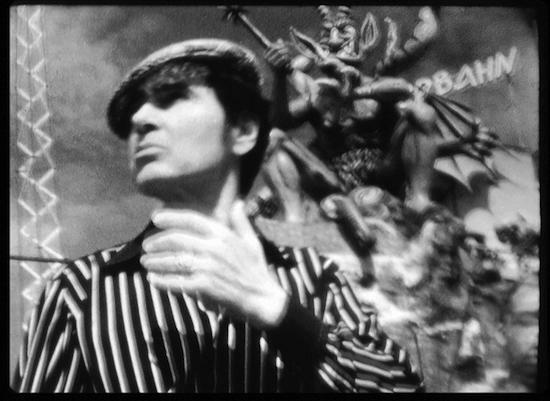 Dancing the tango in 2014 provides a link with the hellfire rockabilly of Falco's very first album, Beyond The Magnolia Curtain, recorded as The Unapproachable Panther Burns in Memphis in 1979 and released on Rough Trade (after an initial album recorded at Sam Phillips' Sun Studios had been rejected). At this point, Alex Chilton was still in the band, which started as an 'art damage' project, handling drums as well as guitar. But the album's most unusual and often overlooked element was the presence on four tracks of the Tate County Fife and Drum Corps, featuring the late blues pioneer and future She-Wolf Jessie Mae Hemphill on marching snare. "This was before she called herself the She-Wolf," recalls Falco. "They recorded on four tracks. No American band has ever done that. It never happened before and it hasn't happened since. It was totally outside. It was polyrhythmic, with three drummers marching around the studio. The engineer went completely crazy trying to get it on tape. He was in a state of shock for the whole session. We had to take that studio over. "That's what distinguished that record. A lot of people like Magnolia Curtain, but they like it for all the wrong reasons. They say it was so loose and so sloppy, that was because we had two guitar players playing drums - Alex Chilton and Jim Duckworth - and the marching band on four tracks." The movie also features another of Tav's old Memphis muckers, the great Charlie Feathers, whose 'Jungle Fever' appears (and is also covered on the new Panther Burns album). Mention of Feathers prompts another discourse from Tav on the roots of rock & roll. "Charlie said that the music he plays is a synthesis between the cotton-patch blues that he grew up with outside of Memphis and mountain music; the European tradition of hillbilly music in the Tennessee hills which Sam Phillips eventually recorded. They later called it rock & roll and rockabilly, but they had no name for it when they first recorded it. They didn't have the name rock & roll when Elvis recorded it. They took all those records around the gospel stations because there were no rock & roll stations in the south. "That's one end of how that music's manifestation in the port city of New Orleans parallels thematically and sometimes melodically with the port music of Buenos Aires and Montevideo. [Pioneering Uruguayan tango orchestra leader] Francisco Canaro went to Paris in the 1920s with hot jazz and brought a trumpet and drum set into tango. Before that there was just samba-type drums. In 'St Louis Blues' by WC Handy, there are two verses that are written into the sheet music as 'tango'. "All I'm saying is there are overlaps. Maybe this is part of the reason why I was attracted to tango. Having grown up in the American south and spent 17 years in Memphis, somehow I was totally fascinated with this music of Argentina called tango and the dramatic sensual gradients in the dance, which is so expressive of a defined relationship; a sophisticated relationship between a man and a woman. That does not exist in popular dance in the US, but in Buenos Aires and Argentina it became a way of life and a way of expression. It was a ritual of courtship as blues dances were in America, but it took on a more profound meaning. Also the fact there were so many European immigrants in Buenos Aires. Like New Orleans and New York, it became a melting pot of European and black culture. "The dance itself became very elaborated and defined. Every movement in the dance became a gesture of an aspect of a relationship. Each movement and figure in tango had a name. It's identified. The corte, quebrada, gancho, boleo… those steps and figures are studied and cultivated. Dancers spend their whole lives dancing, like a musician learning scales, to keep learning and practising those movements. That's the basis of the dance. "It's also an improvisational dance. What Gina and I did at the London premiere of Urania Descending were improvised dances based on a vocabulary of figures, just like Lester Young might have a vocabulary of jazz riffs to play on tenor saxophone. He didn't play the same way every time. It was a vocabulary that he played according to his mood that day. You can do a choreography but that's a stage show. What we did was an improvisation from our vocabulary. We did a beginning and an end, but everything that came in the middle was drawn from a vocabulary. "The dancing in the film figured in the characters. It's like Josef Von Sternberg in The Devil Is A Woman with Marlene Dietrich . He brought Dietrich to America and made six films with her. When she sang songs in his films it wasn't a Broadway production number; the songs came out of her character in the film. The dancing in Urania Descending comes out of the characters who are portrayed in the story in this film. I didn't set out to make a movie about tango, I set out to make a film about this Nazi plunder that was shot down in the lake and the characters involved in it. These characters happen to be involved in the demimonde of Vienna and they dance the tango. Tango goes way back to the 1920s in Vienna and these people in the film were all exposed to tango. I like the way a dance from one culture is danced in another culture. It takes on a more interesting aspect." The film ends with Diego desperately trying to find Gina Lee in the waters of the lake before a large question mark flashes on the screen. After this cliffhanger, surely there has to be a second part? "I've already been thinking about that: part two of a trilogy. I already have ideas about how we're going to pick up the story. It's going to be more elaborate, not so much the simple folk poem part one is but more complex, more convoluted with many more reversals, but dealing with the same characters, like the concierge in the hotel. There are many unanswered questions that will be addressed in part two."